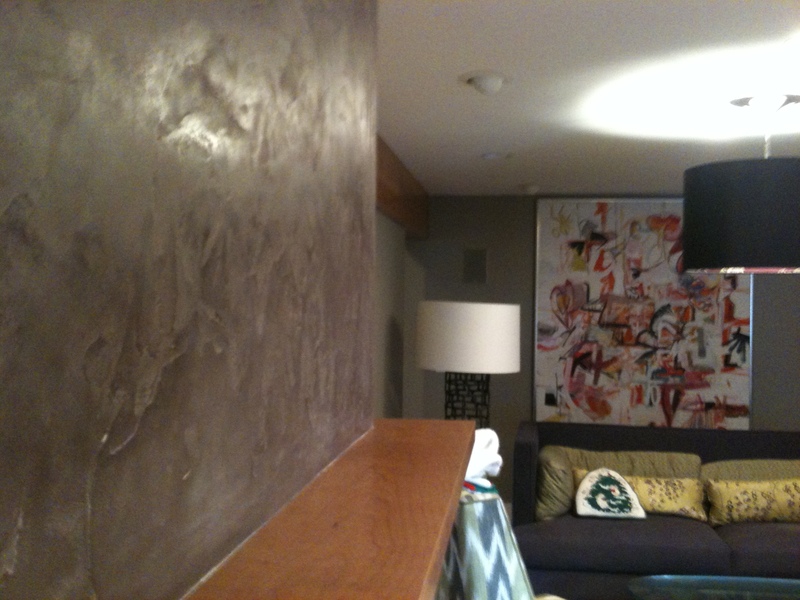 This media room in Keystone, Colorado is one of many contemporary finishes in one of our favorite client’s homes. Painting metallic paint on this large of a scale took some patience, as well as a special air-assisted sprayer (HVLP-like) to get a quality finish. We tried a handful of samples using rollers and each sample left lines and markings from the roller naps. 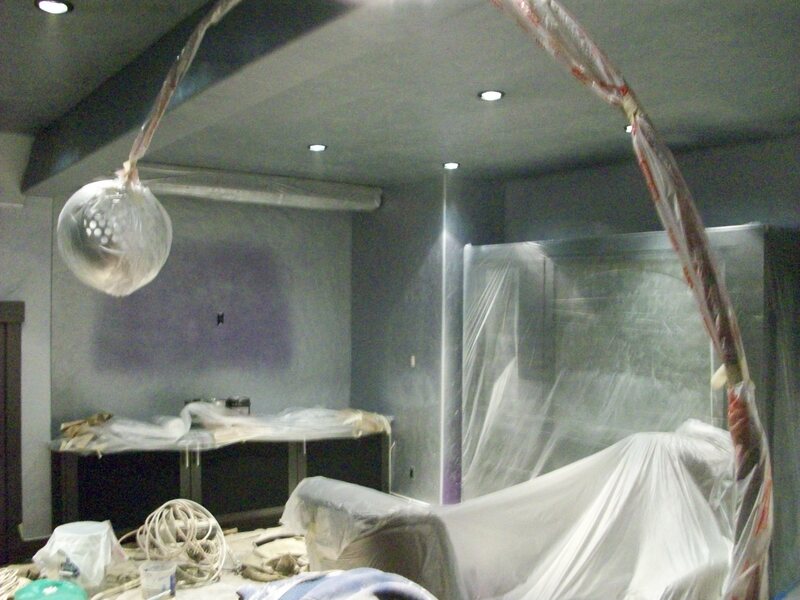 We masked off the entire room (including the enormous outer-space light lamp) and got started. 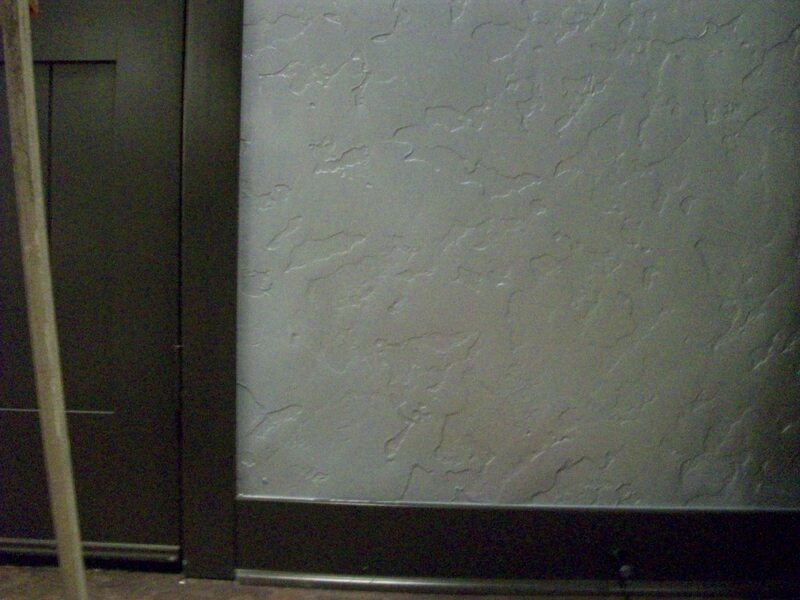 We quickly realized that it would take a light fogging of 3 coats to get the smooth finish we were after. We also applied a water-based polyurethane to bring a more brilliant look to the metallic finish. Once we completed the last polyurethane coat, the walls almost lit-up from the reflective light on the glass like metallic surface. 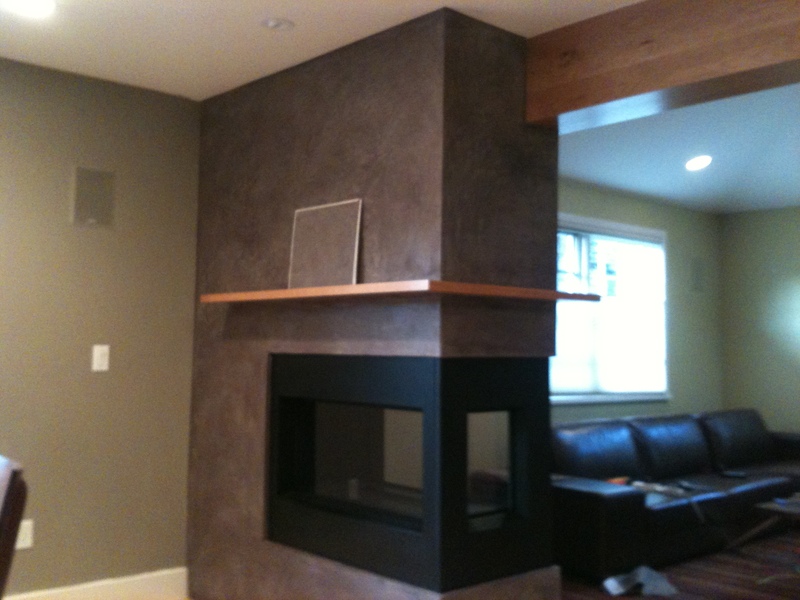 American Clay has endless possibilities…Arches are an excellent place to install clay. 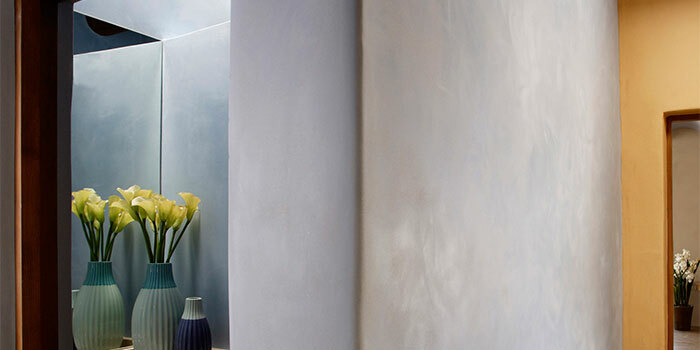 The natural plaster replicates a true “European Old World Finish.” You know instantly that there is something unique right when you enter the home. It is subtle and draws the eye. 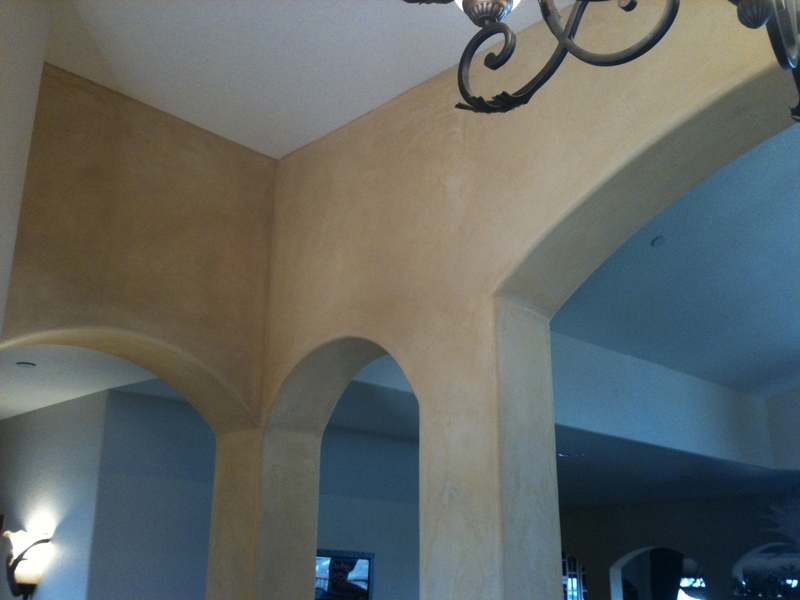 These arches were installed with a enjarre grade plaster and compressed. 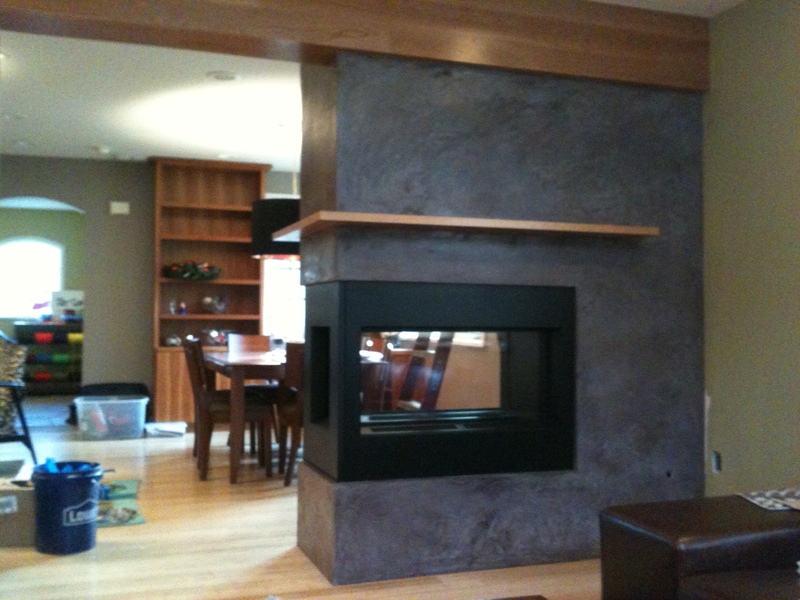 The final finish is a lime wash coat adding depth and texture. Special attention was needed to shape the bullnose drywall. Compressing the bullnose was time consuming and proved to be worth the effort. 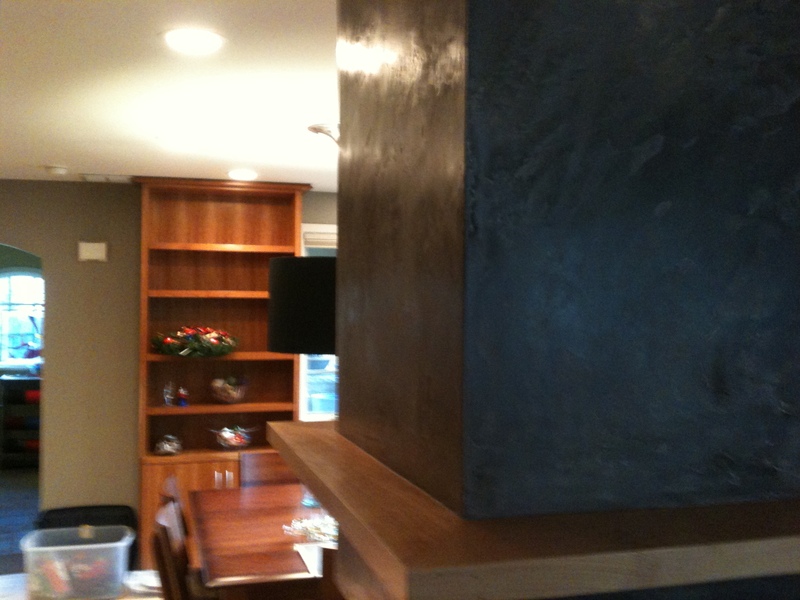 Upon consulting with our client about where to install the clay in the 4000 square foot home took some thought. Initially we were going to install a Loma finish in the bathrooms and a few accents. After finishing the Bathroom in a Enjarre (color: verde valley) finish, we decided to complete the smaller set of arches as well in an additional color. The homeowners contracted us to plaster 8 arches. Three arches were installed with enjarre and compressed. The remaining arches were coated with enjarre (color: sulfer spring) and compressed with the addition of a lime wash.